Siri, Apple’s voice-based virtual assistant is a mixed bag of good things and bad. And Siri faces an increasing competition in the market, especially from Google. I believe Siri is probably the single most important feature Apple offers for three future Apple devices. In fact, I think Apple is betting the entire company on Siri. And that’s why they’ve got to fix it. Siri is unreliable. The “hit rate” for queries, at least for me, borders on 60%. People I know who have much higher success rates have been subtly “trained” by Siri to not ask certain things. The inability of Siri to understand clear, standard requests is bad enough. But oftentimes, you get the old “Sorry, I’m having trouble connecting to the network” response. And even when Siri understands and the server is available, the response lag is far too high. When Siri was first launched more than a year ago, most of us didn’t have any benchmark or comparison by which to judge Siri’s performance. But earlier this month, Google launched the free Google Voice Search for iOS, and it blows Siri away on performance. In addition to lackluster performance, Siri also has trouble understanding the majority of major languages, and also many foreign language accents in English. Job boards around the world have spotted listings for engineering interns fluent in various languages for helping to develop Siri, so at least Apple is working on it. Plus, it’s hard for developers to use Siri for their-party applications. And those who do simply demonstrate how great it would be for Apple to make it easier. It would be ideal, obviously, for Siri to be able to control all the apps on any device it’s installed on. Today, Siri can’t even control the built-in Apple apps, for the most part. Despite Siri’s flaws, Siri does have some wonderful qualities. Siri’s basic approach to chit-chatty, joke-cracking, human like responses is amazing — when it works. Siri has personality, which is something Google’s voice assistant lacks and which will be an absolutely requirement for the warm-and-fuzzy, human-like virtual assistants of tomorrow. Plus, Siri is available on iOS devices with the push (and holding) of the Home button. Early builds of the future OS X 10.9 show Siri integration, so it’s possible that the next OS X update will come with Siri. Siri is a nice addition to iOS, and it improves the user experience, especially on iPhone. But it’s not necessary. However, I believe three future products will absolutely require robust, reliable, high-performance Siri functionality, or those products will fail. (Note that none of these future products have been announced by Apple. This is speculation. 1. Apple’s TV set. There’s absolutely no reason for Apple to ship a TV that’s comparable to existing TVs. The only reason to make a TV is to transform the experience of using a giant screen in the living room using something unique to Apple. I expect Apple to differentiate its TV with three things: 1) iCloud; 2) iTunes; and 3) Siri. Of these, Siri is the most important one for transforming the experience. Instead of searching for a movie on Netflix, not finding it, then toggling over to iTunes to search for it, as you have to do now, Apple’s TV will probably have us simply saying (into the remote): I want to watch “Shawshank Redemption yet again.” Siri will figure out where to grab it, and just start playing it. Once the movie is running, you’ll be able to pause, watch something else, fast forward and do other controls just by talking in plain language to Siri. Without Siri, Apple’s TV product would probably flop, and would be criticized as unnecessary. 2. Apple’s wristwatch. All the major companies, including Google and Microsoft, are working on “wearable” devices. And many minor companies are working on them, too. I think Apple will ship a wearable device within the next two years, and that device will be worn on the wrist, rather than the face, simply because a wristwatch device will be more palatable and acceptable to the majority of consumers. Apple saw the promise of and enthusiasm for the use of the old iPod Nano as a wristwatch, and killed it all with the new Nano. Why? Because Apple knows you only get one shot to train the masses on how to use a new technology. They want everybody to use Apple wristwatches when the real one ships. I believe the killer feature for Apple’s upcoming wristwatch will be Siri. The watch will pair with your nearby iOS device via Bluetooth 4.0. You’ll talk to the watch, the watch will talk to the phone, the phone will talk to the Siri Servers. I would expect you to be able to control music, or the nearby Apple TV with this watch, and also do the kinds of searches you can now do with Siri directly on an iPhone. 3. Apple’s desktop touch tablet. I’ve been excited about the possibilities for an iPad-like, giant-screen touch-based desktop since 2006. But whenever I bring it up, my enthusiasm is drowned out by a chorus of negativity about “gorilla arm” and about the unacceptability of on-screen keyboards as a substitute for physical ones. But what I believe these critics are missing is the future centrality of Siri and other voice-based command and dictation software. You won’t get “gorilla arm,” because you won’t do much with your hands. You’ll talk, and the desktop will do your bidding, for the most part. 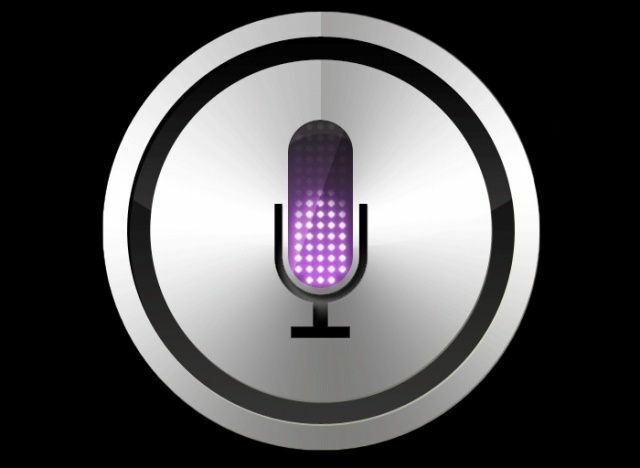 Voice command and dictation — i.e Siri for OS X — is the feature that will make desktop touch Macs thrilling and fun to use. Siri was an awesome product when it first came out. But it hasn’t evolved fast enough to thrill anymore. Apple can’t survive forever simply improving existing product lines. They’ve got to grow new ones. And the most likely new platforms — the watch, the TV and the touch desktop — will absolutely require a much better, more reliable and more capable version of Siri if the next generation of Apple products are to succeed.